Who is your favourite action cinema icon? How much did you spend on your current Blu-ray player? How many subwoofers are in your home cinema system? Which of the following do you plan on purchasing in 2019? Which was the best of 2018's blockbuster movies? Which is your favourite Mission: Impossible movie? Do you have any in-ceiling or in-wall speakers in your home cinema system? Which of the following Star Wars characters most deserves their own spin-off movie? Home Cinema Choice 298 on sale now! Home Cinema Choice 297 on sale now! Watch the latest Avengers: Endgame trailer! The Abyss to surface on Blu-ray at long last? Home Cinema Choice 296 on sale now! 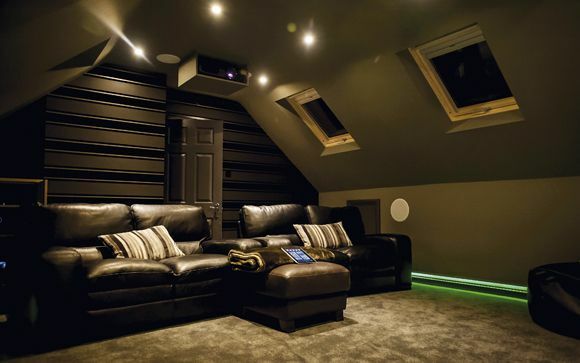 Click here to see what’s inside Home Cinema Choice 296. Q Acoustics 3010i 5.1 speakers and SIM2 ultra-bright 4K HDR projector reviewed!